Neil Finn’s music has often slipped under the radar in the US (although many people would recognize the Crowded House hit “Don’t Dream It’s Over”). He has been an incredibly prolific musician since he got his start in Split Enz in the late 1970s through the mid-80s, moving on to form Crowded House, and collaborating over the years with such musical heavyweights as Sheryl Crow, Eddie Vedder, Johnny Marr, and very soon, Fleetwood Mac. However, the musical chemistry is at its best when he writes and performs with family. Neil’s eldest son Liam has grown up in this fertile musical environment, was a member of the New Zealand band Betchadupa, and has also released several solo projects. Now. father and son have recently released their album, Lightsleeper. The following is a song-by-song summary. Prelude – Island Of Peace – The album’s first track opens with a piano, a soundscape reminiscent of nature, and a chorus welcoming the listener. This song was written by Neil for Liam’s wedding. It is a beautiful opening song that sets the tone of the project, with the choral voices swelling to repeat the words “together, together.” Themes of family togetherness are prevalent throughout the album. Meet Me In The Air – The song’s title brings to mind thoughts of weightlessness and floating, and the music follows through with Neil and Liam singing effortlessly in the higher registers. The word “ethereal” comes to mind when listening to this song. Where’s My Room – The funky groove and the string section in the first part of the song and later at the bridge make this sound almost Prince-like. Some sizzling drum riffs and psychedelic vocal effects round out the song. Anger Plays A Part – Here we venture away from the multi-layered sounds of the previous tracks to a song with a more minimalist feel, using acoustic guitar, piano, and natural vocals. Listen – This song is the album’s standout, both lyrically and melodically. Neil’s pure voice tells us “silence has a purpose; I don’t fear it anymore” over a haunting piano melody in the first verse, leading up to beautiful father and son harmonies. Any Other Way – This is the only song on the album in which the many layers of sound end up coming across a bit muddled, though the underlying pulse of the drums provides a steady rhythm to keep it moving forward. Back To Life – Leave it to the Finn family to put a bouzouki interlude in the first single from the album! There are mentions of Orpheus, the gods, and bringing someone back to life because “there is no sorrow that can’t be undone.” It’s worth a search on YouTube to watch the video and see the whole Greek tragedy unfold onstage. Hiding Place – The strings and piano in the first section of the song could be part of a movie soundtrack, and indeed the lyrics “everybody’s life could be a movie” are there, but in the second half of the song the metaphorical movie veers into David Lynch territory. The experimental sounds, dissonance, and almost-whispered vocals are simultaneously unsettling and beautiful. We Know What It Means – The Finns seem to be reflecting on family and memories in this track: “we never laughed so hard” and “there’s nowhere we haven’t been.” An expressive piano interlude stands out in the song, as well as Mick Fleetwood’s guest spot on drums. Hold Her Close – The album opens with a wedding gift, and fittingly closes with a lullaby written as a gift to New Zealand’s Prime Minister Jacinda Ardern for the occasion of her daughter’s birth. It starts with an intro that sounds almost like a hymn and drifts into sounds of a breeze, acoustic guitar, and gentle, soothing vocals. It is a perfect end to the album, bringing an uplifting sense of closure. The album as a whole has a feeling evocative of a summer evening and could be a perfect accompaniment to sitting under the stars, reflecting, or just being in the moment. New details and nuances reveal themselves with each listen. 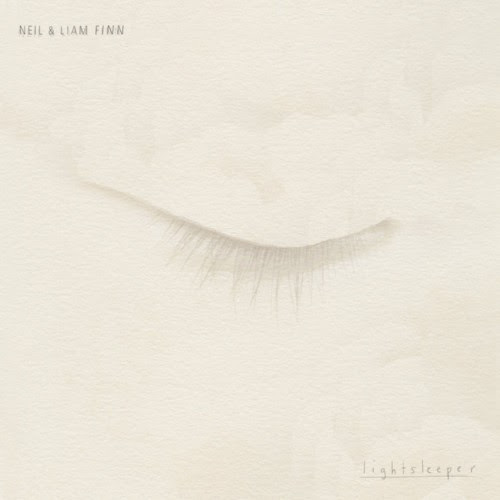 Do yourself a favor and immerse yourself in one of this year’s best album releases, Neil and Liam Finn’s Lightsleeper. Follow the Finns on Facebook and Instagram.